The full range of DJI drones and aerial photography systems for enthusiasts, professionals, and businesses. Expert advice. Trusted support. DJI Ferntech is your first stop for drones and specialist cameras. We stock the full range of DJI products with expert customer service to help you find the right drone for your needs. We offer full service and repairs at our DJI Certified Repairs Centre. As the world's market leader in drones and aerial photography systems, DJI quadcopters are the best in drone technology, allowing you to capture images and information that was once out of reach. Dynamic flying and camera stabilisation systems redefine camera placement and motion with the highest standard of photography and video footage. DJI Ferntech stocks the full range of DJI products and accessories. Visit the store to see our full range of drones, specialist cameras and accessories. Not in Auckland? Give us a call on 0800 787 623 or shop on our online store. We offer a full service and repairs centre with qualified technicians. Warranty is covered for all products sold from DJI Ferntech online or in store, however we can also perform paid repairs on any DJI products. 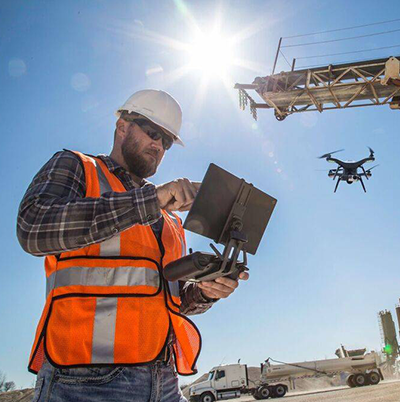 DJI drones are at the forefront of technology in multiple industries; agriculture, surveying, construction and engineering, asset inspection, search and rescue, film and television, and more. Our expert team are specially trained by DJI to work with businesses and organisations to find the right solutions for their needs, providing training and ongoing support. If you want to enquire further about how drones can assist in your project, contact our Commercial Solutions team today. Our clients include large organisations like the New Zealand Defence Force, the New Zealand Fire Service, BECA, Fulton Hogan, and the Department of Conservation to industry innovators like Interpine Innovations and Ariel Camera, to tech-savvy farmers, winemakers, industry professionals and small businesses. If you are interested in stocking DJI products in your store, please contact our helpful team.